As time goes on, designing website layouts in Photoshop is becoming a necessity for every designer.For this reason,I want to help everyone who wanna become a web designer,by presenting some of the best website layout tutorials made in Photoshop. This roundup includes 19 of the best fresh web design layout tutorials created in Photoshop portfolio layouts,layouts designed for blogs,business layouts and more…I`m sure you`ll learn some great designing techniques following any of those tutorials. 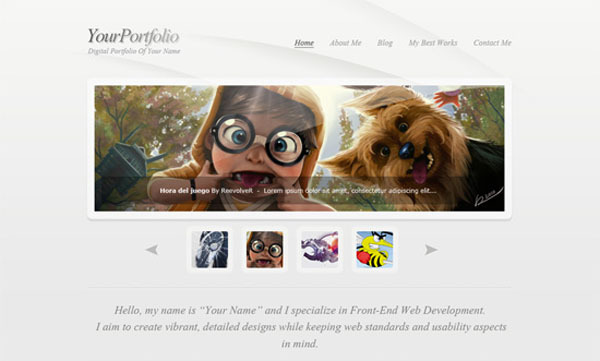 What’s the number one thing you want your portfolio site to do? Stand out! Today, Paul J Noble is going to walk us through the creation of his own uniquely designed portfolio site. He’ll show us tips and tricks in Adobe Photoshop, as well as some clever approaches to standing out from the pack of other portfolio sites. 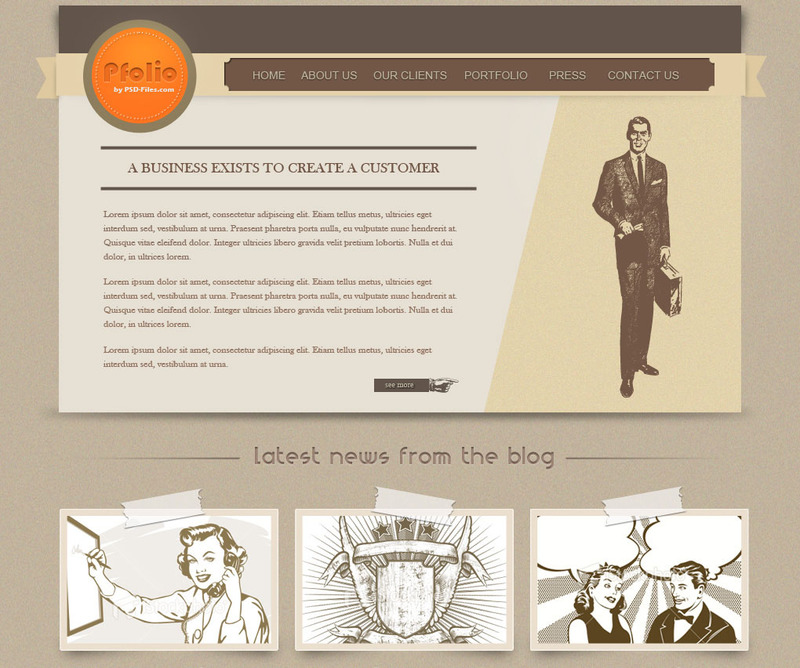 In this tutorial I will show you how to create a vintage website layout. The tutorial is quite simple and can be followed by anyone who have Photoshop installed on their machine. In this tutorial i will show you how to create a nice video related website. You can create this website like a membership, and you can charge people for watching the newest movies online. It is something like Netflix. Please note that you will learn only the designing part. 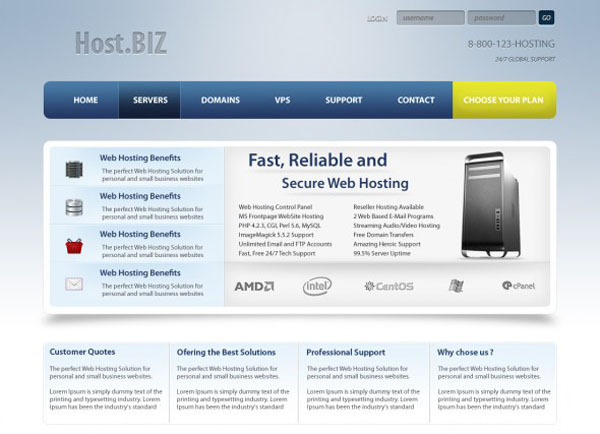 This tutorial will teach you how to create an clean web hosting layout. This web design tutorial will show you how to make a simple “coming soon” web page that has a nice background texture and a slick web form that you can easily adapt into contact forms, newsletter signup pages, and more. 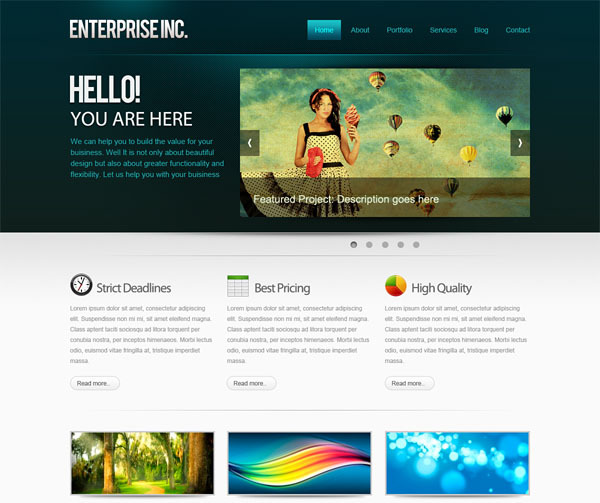 You will witness several web design techniques such as creating textured backgrounds, creating light rays, making illustrative clouds, and more. In this tutorial I will show you how to create a one-page dark web layout for an iPad/iPhone application. 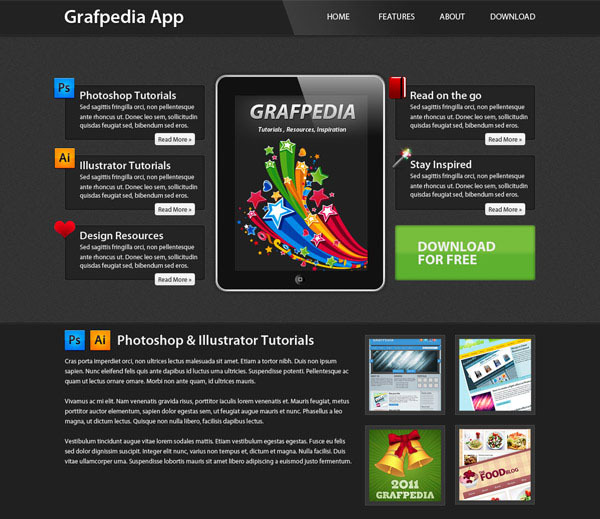 For the iPad and iPhone images we will use vectors from the Screen Display Vectors Pack from Grafpedia. I will also show you how to add your own image on the iPad screen and how to create a shine effect for the header. 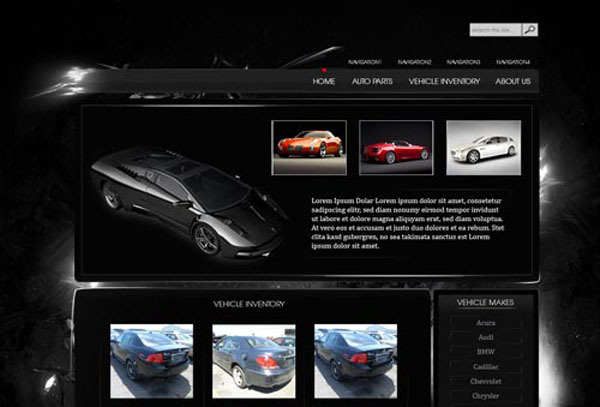 In this tutorial I will teach you how to create an elegant vehicles web layout with a light effect using Photoshop. You will learn how to use different settings to fill out your canvas with nice lightning and blending modes using different stock images to create good light effects. Following the steps of this tutorial you will easily learn how to use different tools and tips to create good web template. I hope you will enjoy and learn something from it! 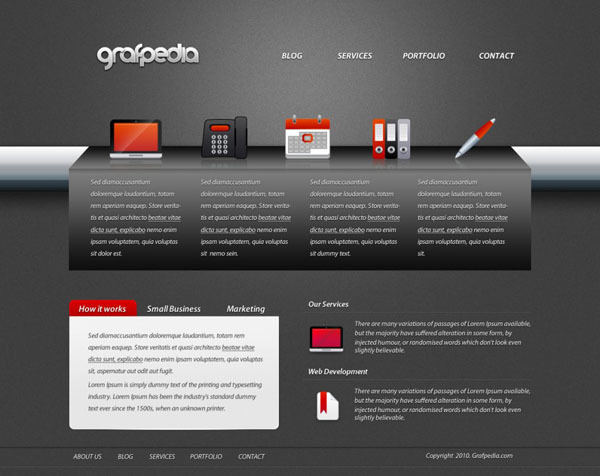 We love share our passion for graphic and web design through our blog. The objective of our tutorials and articles is not just the explanation of practical techniques to realize nice illustrations or clean web layouts. We’ll be really proud if, after reading the tutorial, you will be able to apply some of our advices in your future works. 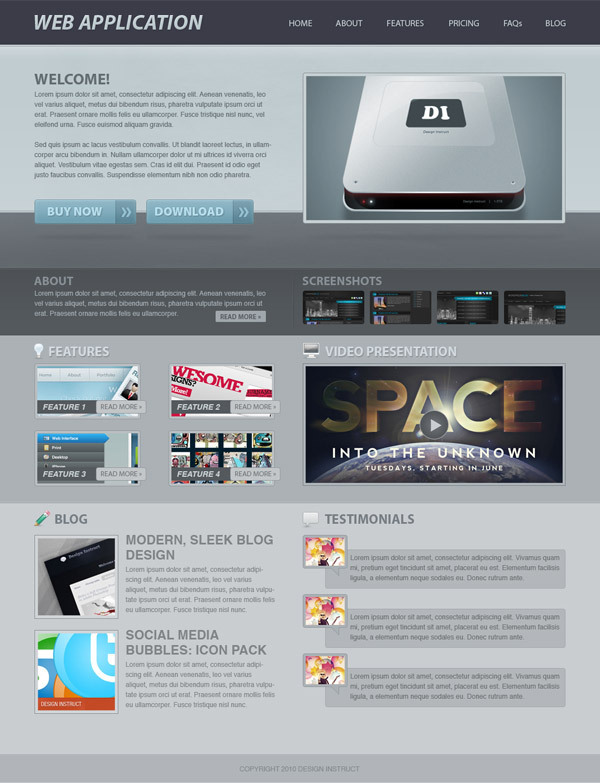 For today I will show you how I have created a law/website layout in Photoshop. 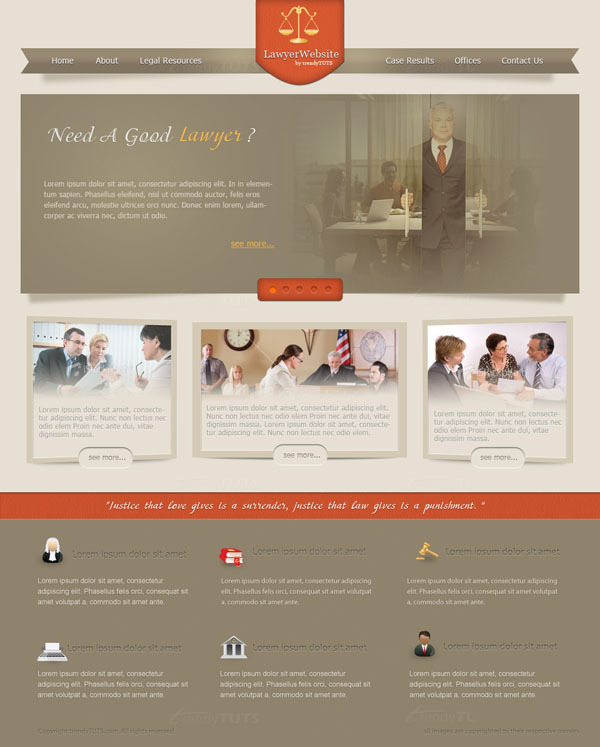 I think this template it is suitable for a lawyer website or anything which have to do with the justice department. In this tutorial I’ll be showing you how to create a gallery/showcase style web layout. Lets get started. 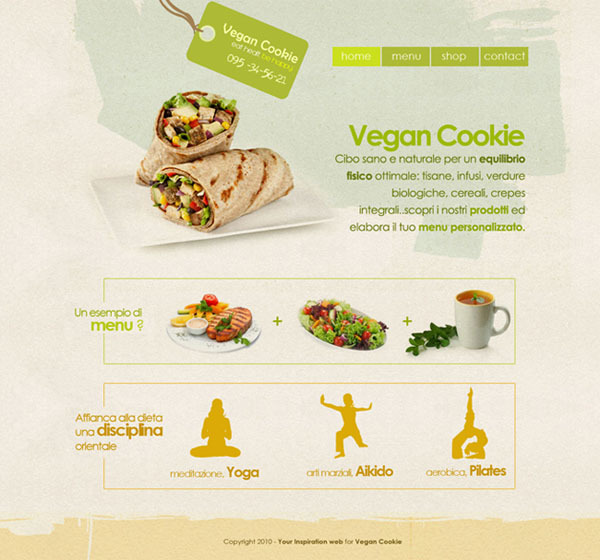 Today we’ll create a layout that recalls some graphic characteristics of this style: our client deals wuth biological food (or vegetarian, as you prefer) and needs a clean, effective homepage that recalls the natural freshness of his menù with a proper graphic. 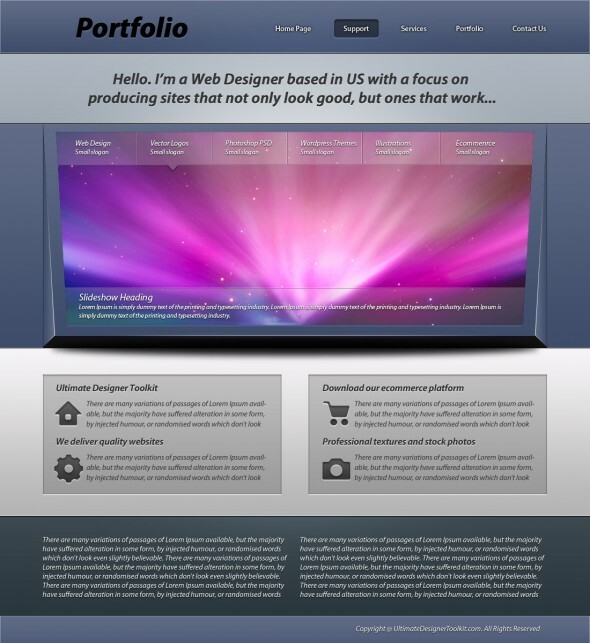 In this tutorial you will learn how to create dark portfolio layout. We will use a set of professional universal vector icons in this layout. 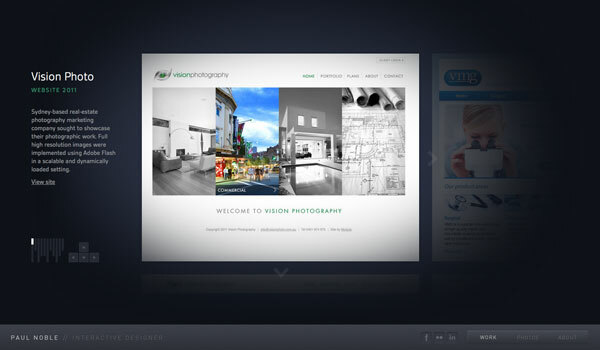 This tutorial will teach you how to create a beautiful website in Photoshop in just a few steps. You will create a website to allow users to register on your website very fast. 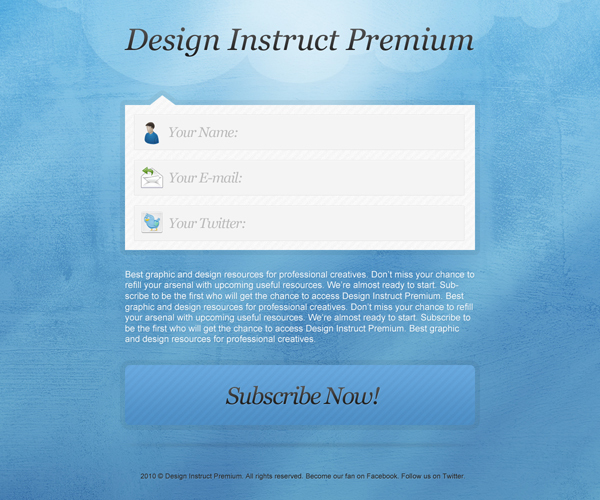 In this tutorial i will show you how to create a portfolio website design with a 3D look. When i design websites i like to use frameworks. 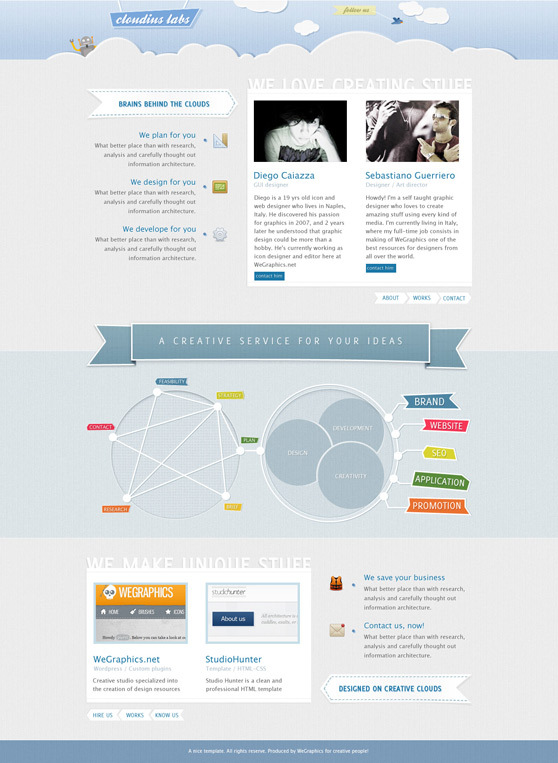 For this layout i will use the PSD framework from our Ultimate CSS Framework. This framework will help you to convert your PSD layouts into valid CSS/xhtml websites. Most recipe sites tend to be unique in their set up. 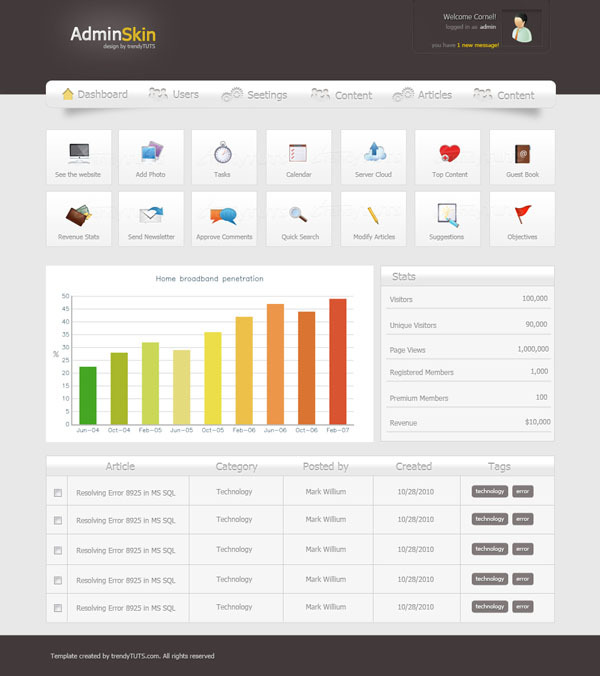 Like other user-submitted content sites, they thrive on the right content management system. Unlike most other user-submitted content sites, visitors to these sites aren’t often treated to personal insights about the recipes they seek. Personality and individuality are portrayed solely through the recipes themselves along with the pictures that accompany them. 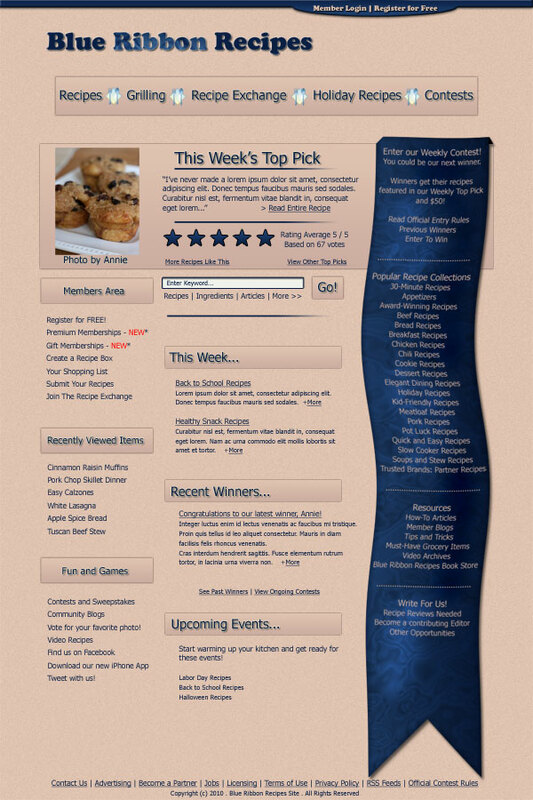 This site is designed to complement the recipes and let them shine through in all their glory. In this web design tutorial, I will show you how to create a layout for a web app’s website using Photoshop. 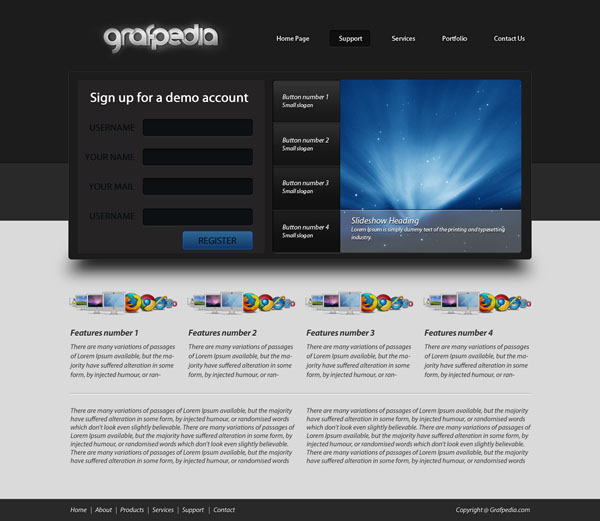 We will create all the popular components of a web application website, like a "featured" area for a short description of the app, call-to-action buttons, screenshots/videos presentation areas to show the users how the app looks like and what it can do, a "features" area to present product features, and more.